See, when using virtual labs, there are both tricks to watch out for and many treats to enjoy. So, with Halloween approaching, it seems the perfect time to discuss a few. The only difference is, with virtual labs, trick-or-treating goes on all year long. 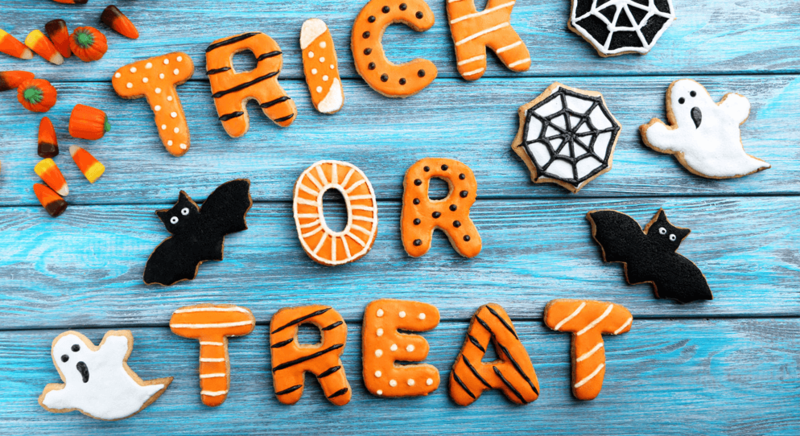 Before you get busy carving pumpkins and lighting jack-o-lanterns, let’s dive into some virtual lab tricks and treats that can make a true impact on the success of your business. 1. Who covered your UX with toilet paper? Yes, using a cloud-based training lab should be easy. The interface should be friendly and intuitive. You should be able to get started quickly by leveraging pre-built, fully-licensed templates or easily upload custom VMs with an efficient VM import tool. If the interface for all users (admins, trainers, trainees, SEs, prospects, developers, etc. ), isn’t simple and efficient – it’s a trick! 2. Be aware of the ‘monster in the closet’. Okay, for the record, you don’t absolutely need to experience “bill shock” every time you see your monthly virtual lab invoice. Put aside for a minute the detailed cloud pricing calculations used by some providers. First, you need to stop paying for what you’re not using because the real monster in your closet is forgetting to shut down inactive labs. Just like forgetting to turn off your A/C when you leave your house – it will come back to haunt you in your monthly bill. 3. Don’t trust anyone with a mask! It’s important to know what’s under the hood. Not all clouds are the same. And bigger isn’t always better, especially when you are trying to migrate a complex, on-premise application to the cloud. The commodity cloud providers don’t support many complex networking features, requiring you to modify or re-architect your system to replicate it on the cloud. So, ask questions first and find out who is behind the mask. If you can’t upload your complex environment as is – then this is a cloud-based trick! Take off the mask and run! Because it’s not really Halloween without them. 2. Just the right amount of Skittles, Reese’s, Twix and Twizzlers! You should be able to access virtual labs, complex as they may be, with nothing more than a web browser and an internet connection – without any software plugins or set-up requirements. You should be able to replicate your existing systems and import your own environments – no re-architecture needed. And finally, you should be able to scale quickly and easily and enjoy a truly automated solution, relieving you from the need to nag IT and from bill shock. A true specialized virtual lab solution offers no tricks, just treats. Delicious! So, beware of what you’re eating…. and Happy Trick-or-Treating!